Number of championships: Premier League – 4 times; First Division – 7 times; Football League One Play-offs – 1 time. * Book Official Manchester City Tickets Now! * Manchester City Tickets Have High Demand, Don't Miss The Opportunity. * Manchester City Tickets Are 100% Guaranteed. Manchester City, most commonly referred to as "City" are well-renowned for playing in the English Premier League and their success over the years. Manchester City was formed in 1880 as St. Marks (West Gorton). However, seven years later (1887), it changed its name to Ardwick Association Football Club before being officially named Manchester City in 1894. The first few years of the club was largely successful and being promoted in 1899 to the highest level in English football at the time: the First Division. They even went on to win the FA Cup in 1904, however the following years were tumultuous for the team after being accused of financial irregularities, had many players suspended as a result, and also experienced a fire at their stadium. Thankfully for City, the 1930s were more successful for the club - they went on to win the FA Cup in 1934 and the First Division in 1937. But it didn't last long, as the team experienced a spell of promotion and relegation over the next few years, before their golden age in the 1960s and 70s. The 1980s and 1990s were a rather dry period, in comparison, due to frequent manager changes and several relegations. It wasn't until the early 2000s that the team finally started winning more trophies, such as the Division One Championship in 2001-02, and qualified for European competition for the first time in two decades. In 2008, Manchester City was purchased by the Abu Dhabi United Group, and subsequently bid for some high-profile players. This proved as a successful strategy in later seasons, as the club seemingly improved over the years under the manager's Roberto Mancini (2009-2013) and Manuel Pellegrini (2013-2016). The appointment of Pep Guardiola in 2016, led the team to a number of successes, including winning a double: the 2017–18 Premier League title and Carabao Cup (also known as the EFL Cup), as well as the 2018 FA Community Shield. In addition, the team scored the highest point total in Premier League history that season, and broke numerous Club and English league records. 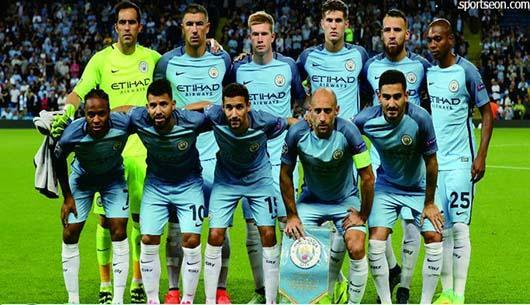 What is Manchester City's Most Successful Period? To date, Manchester City's most successful period has been 1960s and 1970s, when the team had many successes. In the 1967-68 season, Manchester City won the League Championship and in 1969 the FA Cup. The 70s were just as successful, winning their first European title in 1970: the UEFA Cup Winners Cup, and in 1976, they won the League Cup. How to Buy Manchester City Tickets on Ticketgum? Read the terms and conditions and select "I agree"